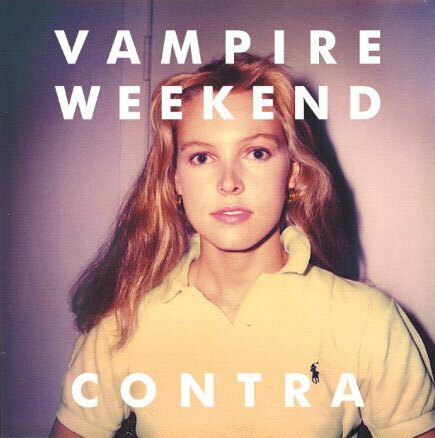 EW reports that Ann Kirsten Kennis, the former model featured in the photo above which was subsequently used for Vampire Weekend‘s second album cover, Contra, is now suing the band for $2 million. She alleges that her image was used illegally, and that the Polaroid photo was taken by her mother in 1983. This is in direct conflict with photographer Tod Brody‘s claim that he is, in fact, the one who snapped the shot and, therefore, has the rights to it. As is standard practice, Vampire Weekend and XL Recordings licensed the rights to use the photo on the cover of Contra pursuant to a license agreement that contains representations and warranties authorizing this use of the photo. Now that a lawsuit has been filed, we look forward to having the matter resolved in court. If Kennis does end up winning this lawsuit, that’ll be quite a payday for a Polaroid that’s almost thirty years old. I oughta start licensing some of my old crappy photos where I’m awkwardly posed, just in case anybody wants them someday.